NERV is being attacked by SEELE and Rei becomes one with Lillith. Together with the Spear of Longinus and the completed EVA-series, Shinji will decide whether or not mankind will cease to exist. He has to decide now if he wants to stay alive or be dead, but his decision will affect all of humanity. 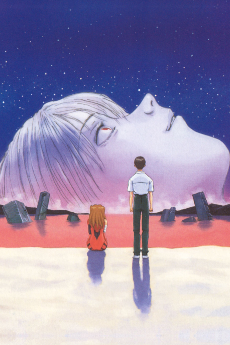 The End of Evangelion is something special, and worth cherishing, much like its predecessor.